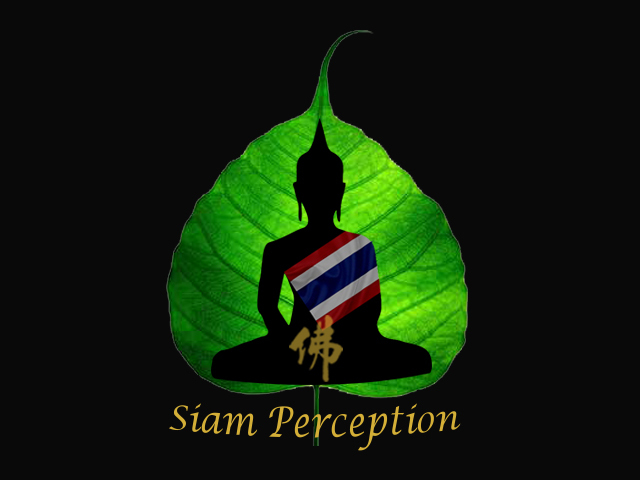 Siam Perception Amulets welcome everyone to the new thread! Due to new terms and condition of photo hosting online, we are required to change a new server to serve everyone better. Enjoy your stay here! An incredible piece of Phra Somdej Strongly blessed in Wat Bang Khun Prom as many top many of the era have been invited to the ceremony. Not only that, many scared powder and broken fragment of old Phra Somdej phims have been added in the marking of the amulet. As known as Wat Bang Khun Prom or Wat Mai by the locals. Ajarn Toh did chanted a batch of amulets and kept it in a big pagoda in the temple which was only discovered many years later when flood damage the pagoda. Hence many broken fragment chanted by Ajarn Toh have been added into making newer amulet for devotees to wear. 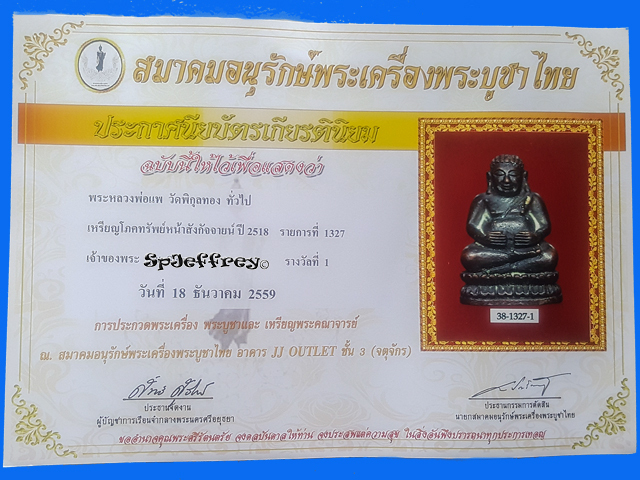 Phra Somdej is also known also one of the evergreen amulet in Thailand and considered on of the best all rounder amulet. 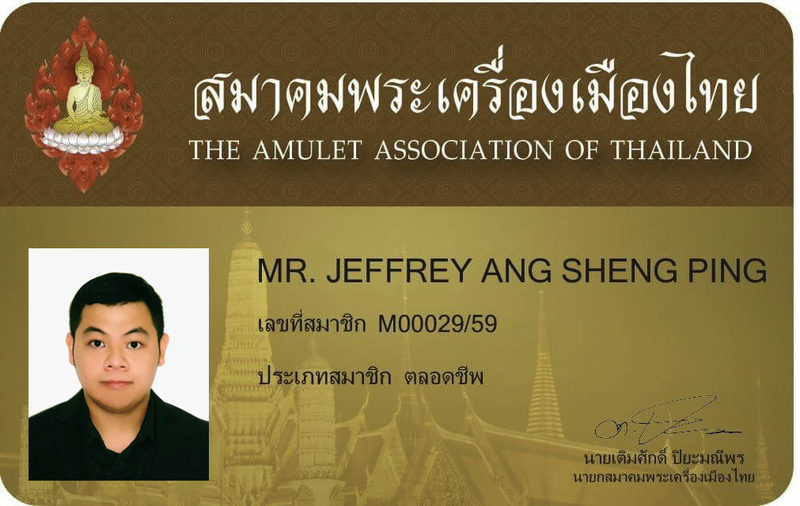 Smooth sailing in life, protection,metta and even wealth are bestows to wearer of Phra Somdej. Suitable for all ages and all line of work. Beautiful piece of Prok Pho Somdej featuring Phra Somdej under Bodhi tree that Luang Pu Tim had chanted and release in Wat Pailom which is also featured in the book too. 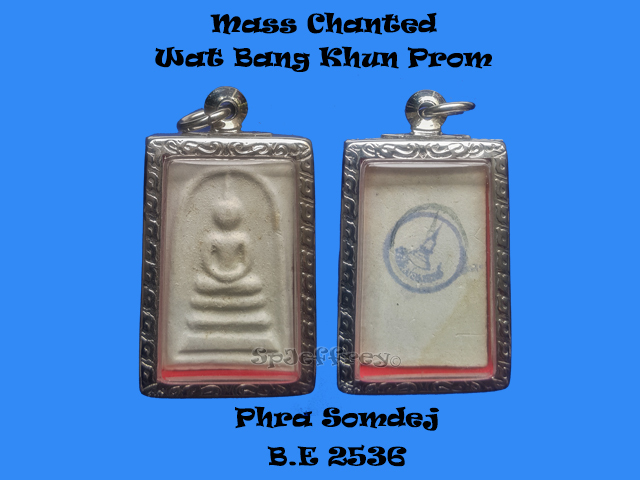 Phra Somej Prok Pho is known to bless worshipper with smooth sailing in life, providing protection from bad influence and away from evil, bringing good fortune and luck and many more which is also known as an all-rounder amulet. 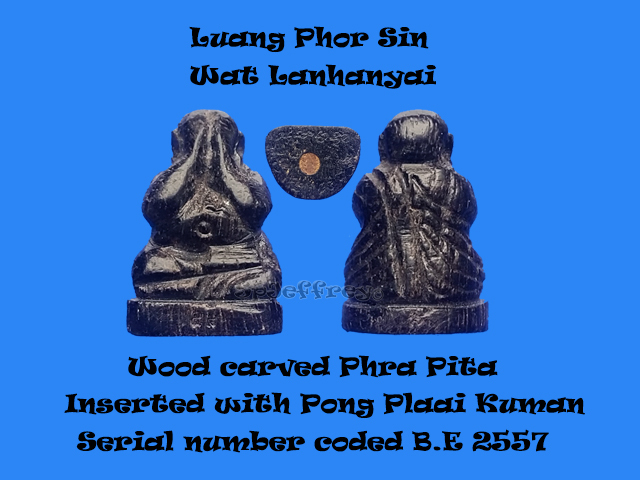 An ideal piece to collect before the price of this phim get skyrocket because Luang Pu Tim’s amulet have rising over the year as recent G-pra magazine listed this batch of amulet that is released in Wat Pailom as high as 7,000 baht. 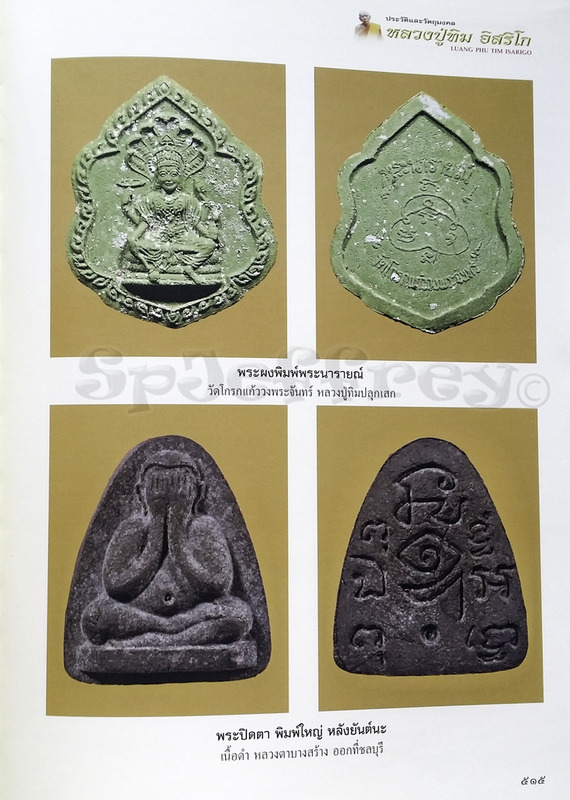 Phra Somdej is known to be one of the evergreen Thai amulet and it bestows with smooth sailing of life, protection,metta, wealth etc which is an all rounder amulet. 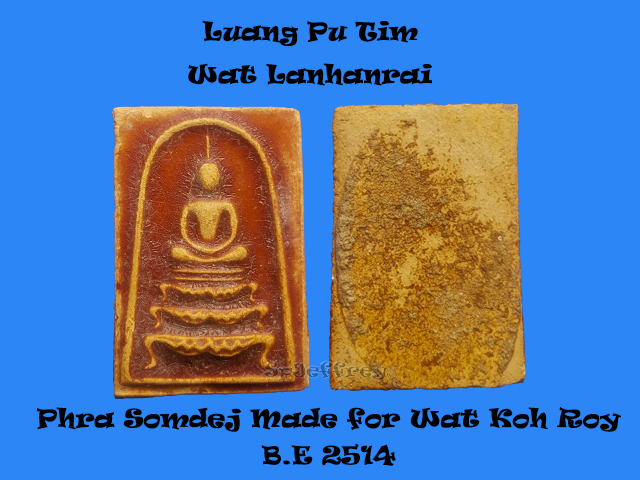 Amulets chanted by Luang Pu Tim himself is known to hold great metta and wealth which many people have experience after wearing his amulet. 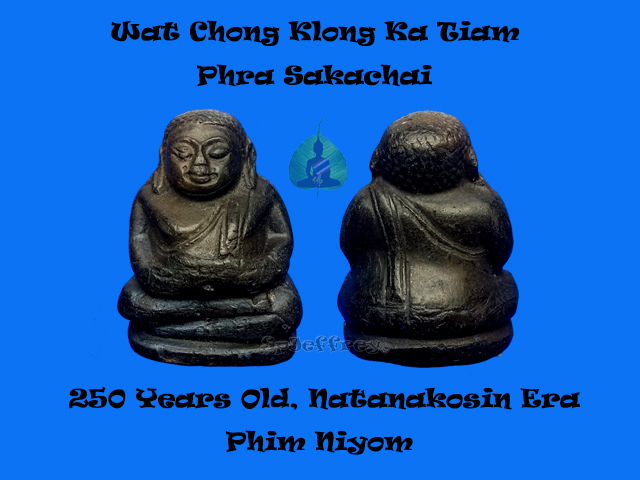 A mini Phra Sakachai chanted by one of the most respected monk in Thailand as Luang Phor Pae made this batch of amulets when is he still in pink health which he spent a lot of time chanting and blessing these amulet. Phra Sakachai is known to bestows believers with prosperity, happiness, attracting more wealth and it is known that Phra sakachai that hold its stomach is best for accumulating more money. Excellent piece for removing obstacles in life, increasing luck and boosting on career or business.Won 2 time 1st placing in competition to prove its beautiful condition and increase its collector value. 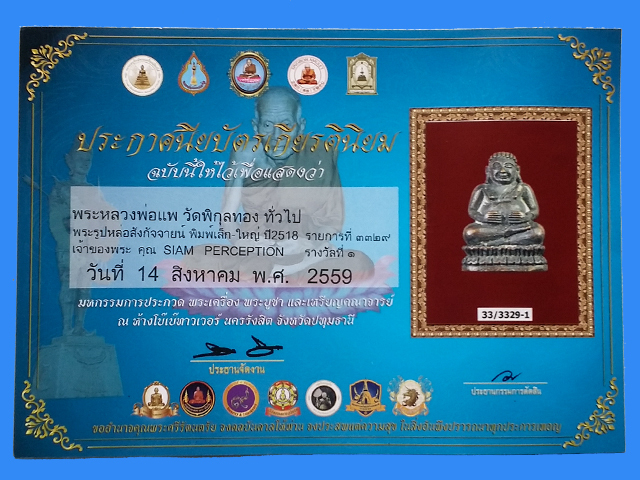 Phra narai is also known as Lord Vishnu which is well known to bring wealth, luck and success to business which believer always pray for wisdom and good relationship which is always the key to successful business. 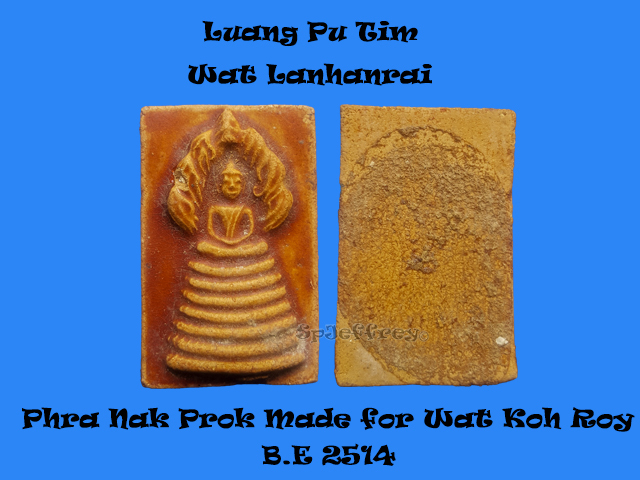 Chanted by Luang Pu Tim and donated to Wat Kok Kaew Wong Praja which is very collectable and this phim did made its way to feature into Luang Pu Tim thick book which means that this phim is worth collection and there is more and more fake of this phim floating around in the market as the colour of the fake are different and feature is not as sharp. Do take note and this is the kind of amulet that is worth keeping before the prices hit shy rocket. Phra Sakachai is known to bless worshipper with wealth and happiness and it was known that if Phra Sakachai were to hold his belly, it means keeping of wealth well. Chanted in Natankosin Era which means this amulet have been around for 250 years and was deem as phim niyom due to its colour as normal phim is brown in colour. Many fakes flooding around as only the real phim will have a kring inside which can be heard if you shake the amulet. Champion condition piece which is an excellent piece to wear or even place it at home for luck, overcoming of obstacles and improving businesses. 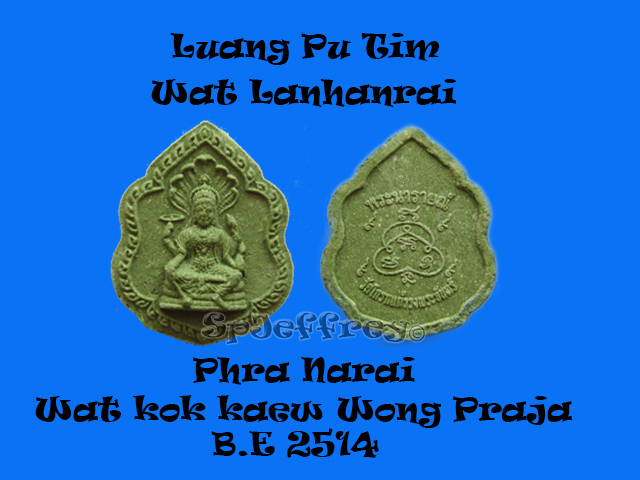 A piece of beautifully hand craved Phra pita inserted with Pong Plaai Kuman mixed with other holy powder. Only very limited pieces was made due to the amount of wood which made this piece very precious. Phra Pita is known to bless wearer with protection, wealth and even metta. Every Phra Pita that had been craved gad been coded with a serial number. 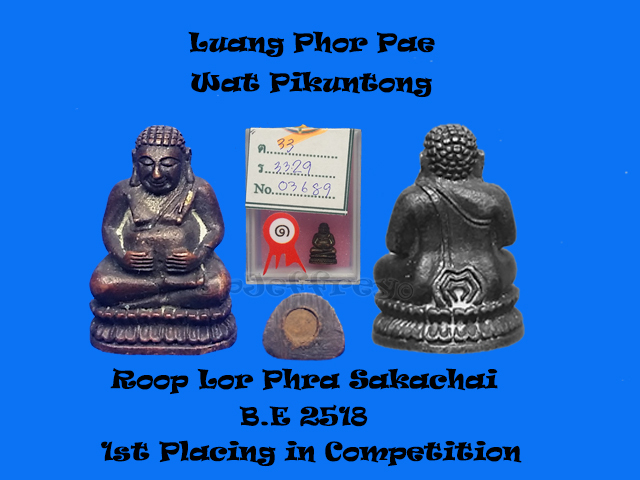 A must have piece for Luang Phor Sin collector and a great piece to wear it in your daily lives. 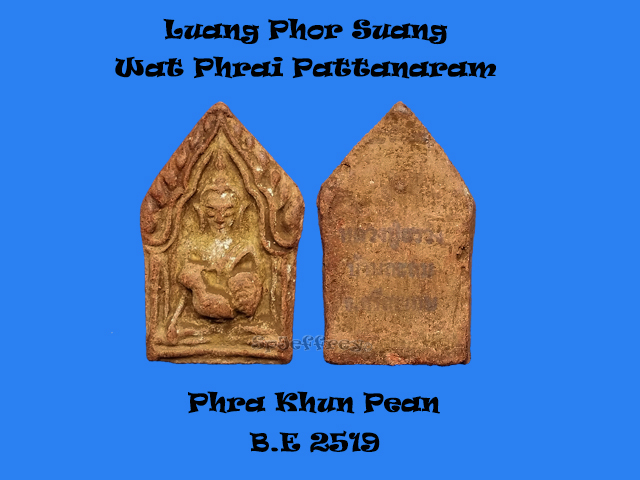 Luang Phor Sin’s amulet remains very very affordable as his amulet had not been fried in the market. 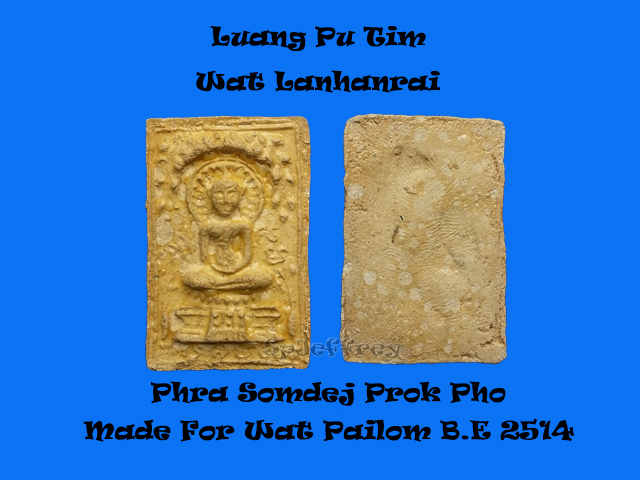 It is good to collect as many of his amulets follow the same old design of Luang Pu Tim’s amulet which is an affordable and authentic alternative.